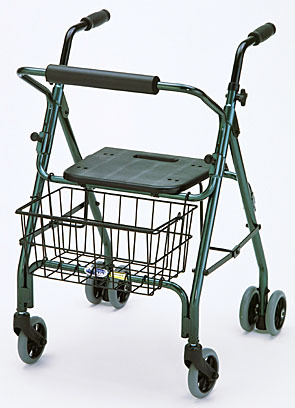 The Cruiser 4200 four wheel walker/ rollator offers many great features in a 4 wheel walker at an economy price. The weight activated brake system is great for the user who has limited hand dexterity or does not have the capability to operate a hand brake. This system allows you to stop your walker with the lightest touch. The dual rear tires give added stability. 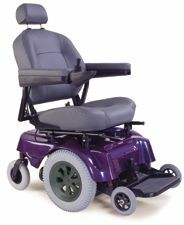 The padded back rest and seat offer the user the option of resting when needed. The weight of the user on the seat automatically keeps the walker in place. The Cruiser is foldable and light weight and easily transportable in most any type of vehicle. The seat and basket are standard features of this unit. Available Colors: Blue and Burgundy. Seat Height to Ground 20"
Adjustable Height 31.5" to 36"